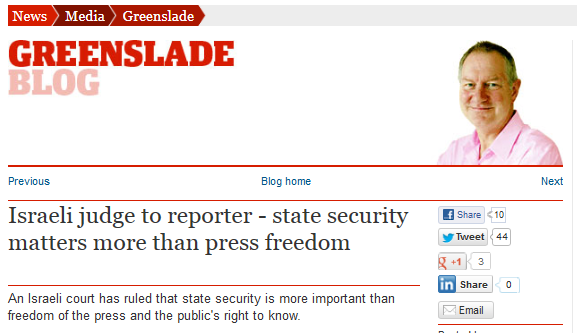 Nor did it come to the attention of Roy Greenslade, who seems to keep an eagle-eyed focus on news relating to the media and press freedom in Israel. How strange that Greenslade should have overlooked this story while being so on top of other stories about media in the region, especially those which show Israel in a negative light – despite the fact that, by any standard, Israel lays claim to the only truly free press in the region. How very odd to see the difference in emphasis about media restrictions when the antagonists in the tale are Palestinians. 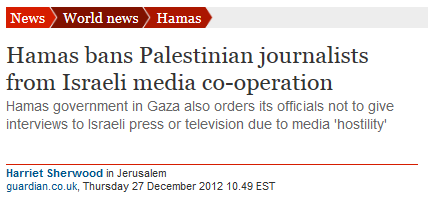 Could it be that Greenslade and the Guardian expect such behavior from Hamas, and therefore don’t consider it newsworthy enough to report it at a blog about the media and press freedom? They were the top media stories on a day when most Guardian readers were either out shopping for bargains after the Xmas holiday or taking some fresh air. The writers, such as Roy Gleenslade, were probably enjoying time with their families instead of obsessing over Israel. 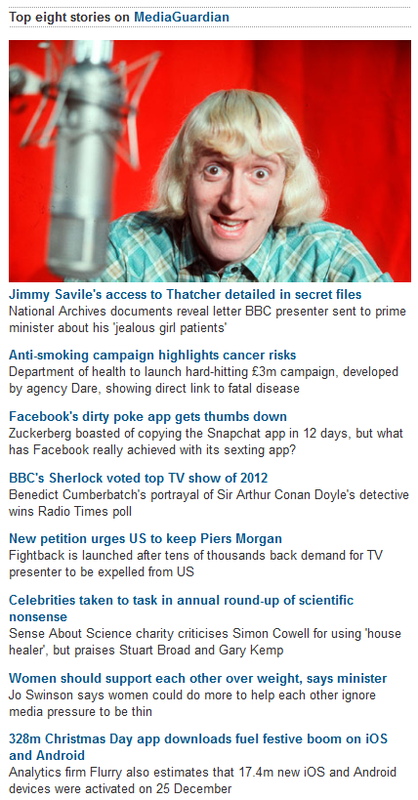 While you may be right, on the other hand the Guardian readers seemed to have plenty to say about the topics listed. 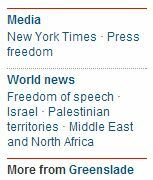 Moreover, a headline that read “Israel bans Palestinian journalists” would undoubtedly have been noted in furious column by Greenslade – and, I suspect, made it into the top media columns for the day. Send him back to the IRA, old ally of the PLO and Gaddaffy.